The latest UK Cities index from Hometrack has revealed that despite Brexit continuing to dominate most aspects of life in the UK at the moment, in the two and a half years since the referendum, it appears to have had a limited impact on the UK’s housing market. According to the report, households in regional housing markets appear to be shrugging off any uncertainty. Six of the UK’s largest cities are posting year on year growth figures over 6% with Leicester (7.7%), Edinburgh (7.4%), Manchester (6.3%), Birmingham (6.2%), Nottingham (6.1%) and Liverpool (6.0%) all performing strongly. New research included in the report finds that the discount between asking and achieved prices continues to narrow across regional cities and has fallen below 2% in Manchester while reaching a 5 year low in Liverpool. Sales volumes continuing to keep pace with new supply in regional cities, supporting price growth. Since the Referendum vote in June 2016, Birmingham, Edinburgh and Manchester have all registered house price growth of 15%, almost 3x the growth in average earnings. In contrast house prices in London are less than 2% higher than in June 2016. London is currently registering a year on year fall in house prices of -0.4%. The report concludes that the marked slowdown in market activity since 2015 has been primarily a result of weaker market fundamentals with Brexit uncertainty a compounding factor to weaker market activity. Stretched affordability, multiple tax changes since 2012 and new mortgage regulations have all combined to constrain demand for housing across the market and push London house price inflation into negative territory. Cambridge (-1.1%) and Aberdeen (-2.8%) are the only other cities to be registering year on year price falls. 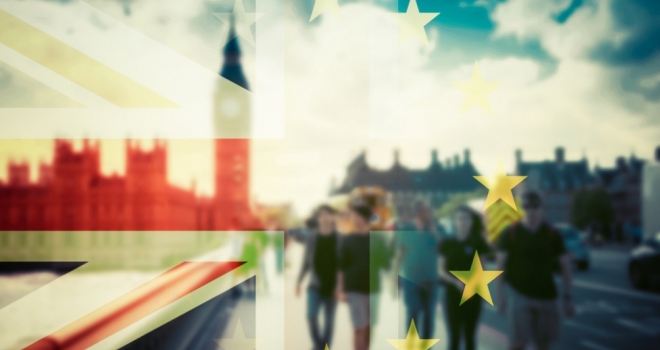 Richard Donnell, Insight Director, Hometrack says: “Two and a half years on from the Brexit vote, our analysis reveals a limited direct impact from Brexit uncertainty on the housing market thus far. Large regional cities continue to register above average house price inflation with the discount between asking and sales prices narrowing on rising sales volumes. London led the housing recovery since 2009 and now it is leading the slowdown as weaker market fundamentals – stretched affordability, multiple tax changes, new mortgage regulation – have constrained demand and reduced sales. While the uncertainty from the Brexit vote has compounded this reduction in London house price growth it hasn’t been the root cause.